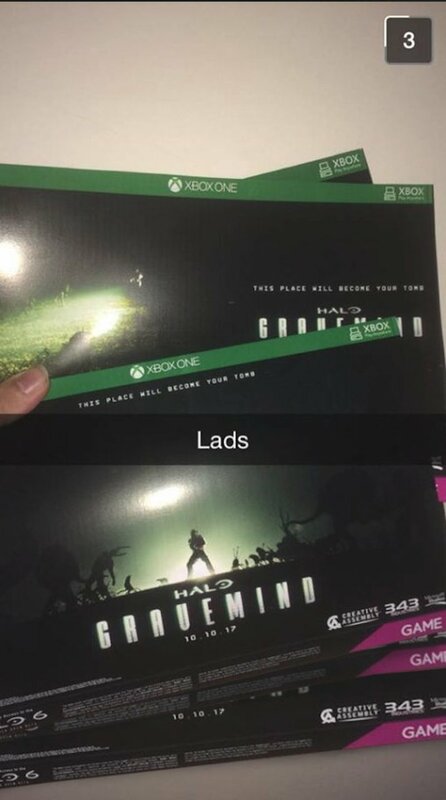 Halo Gravemind could be a new Halo game out this year. According to leaked promotional material allegedly originating from UK retailer GAME, Halo Gravemind has a October 10, 2017 release date and is developed by Halo Wars 2 and Total War studio Creative Assembly. There’s the Halo 6 logo on the bottom left that suggests a multiplayer beta akin to Halo 5. The mainline Halo games like Halo 5 are developed by Microsoft’s 343 Industries. Frank O’ Connor, who is the Franchise Development Direct for Halo at 343, took to Twitter to debunk these claims. However, he also disavowed the existence of Halo: Master Chief Collection when it was leaked days before an official reveal. An expansion based on Gravemind – one of the franchise’s villains and the Flood – parasitic alien creatures that made up one of Halo: Combat Evolved’s worst levels, The Library, may not be the smartest idea for the series. More so if you consider that this could very well be an expansion to Halo Wars 2. Though keep in mind that the excellent Alien Isolation was also developed by Creative Assembly. And while the poster suggests a horror-theme to it, it could make for some interesting scenarios if Halo Gravemind was a survival horror action shooter mash up. Like most leaks and rumours prior to E3, take this with a fistful of salt. Particularly when this specific promo lacks any branding that pertains to Xbox Scorpio. ‹ Previous Would you let a drone fly a ton of bricks over your house?